( The “Beauty and Rationality of Islam” series aim at providing a foundation for the proper understanding of Islam, especially its concept – that Islam was not introduced or founded by Prophet Muhammad but he was sent only to confirm and complete the “Religion of Truth” whose teachings were taught by numerous prophets before Islam, including that of Prophet Jesus (Jesus Christ), Peace be on them all. Islam is the name given to the “Religion of Truth” when the time came for it to be further expanded and completed. With the proper understanding of Islam, people of other faiths would appreciate Islam and thus live with Muslims as fellow brothers and sisters. There is no place for suspicion, hatred of races and faiths as well as terrorism. What we need in this world is peace, happiness, togetherness and harmony. 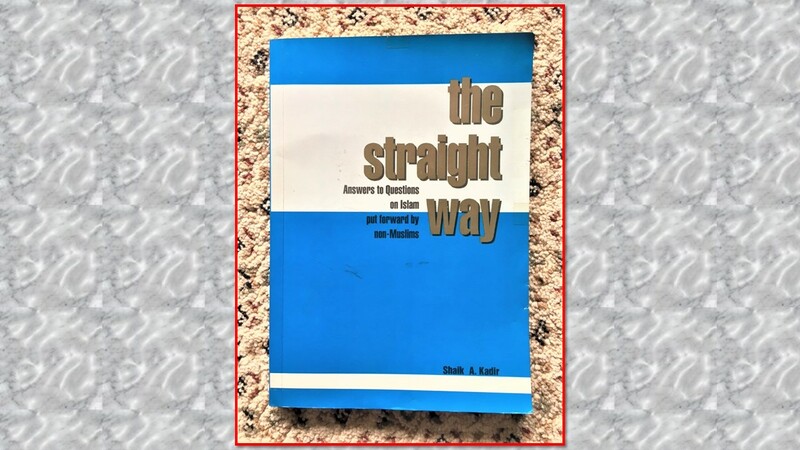 Among the many Islamic books written by the writer of this article is “The Straight Way”, published in 1993 by The Muslim Converts’ Association of Singapore or commonly known as Darul Arqam Singapore. The 170-page book answers questions on Islam put forward by people of other faiths. Bearers of God’s Revelations were the numerous prophets of Islam. They were all human beings but upright in character and were chosen by God for their respective roles and missions. They include people like Prophet Abraham, Prophet Moses, Prophet Jesus (Jesus Christ) and Prophet Muhammad. They received Messages, called Revelations, from God and passed them on as instructed to the people they were sent to. In the case of Islam, the Revelations from God to Prophet Muhammad were recorded in the Qur’an word for word (explanation on this will be given in subsequent articles in the series). This exact record of the Revelations of God, called the Qur’an (Criterion), is the Holy Book of Muslims, and it is in Arabic, in the language of Prophet Muhammad and as received by him. (Translations in all major languages are available today.) Whatever Prophet Muhammad needed to explain to, or advise, people were recorded separately and called the Hadith which also includes his conduct and deeds (Sunnah). In other words, the Qur’an is the exact Word of God recorded and confirmed by Prophet Muhammad himself while the Hadith were his explanation, advice and character recorded by other people with his knowledge or without. The term “God”, the Almighty, the Creator and Sustainer of the Universe, is mentioned in the Qur’an as “Allah” and it means “the God” in Arabic. For man’s proper understanding of God, God Himself provides a concise definition of Him in Chapter 112 of the Qur’an so that people will no longer misunderstand and misinterpret God as had happened before Islam. So in this series, the Qur’anic term “Allah” will be used unless when commonality is required. Muslims’ knowledge of Allah begins with the creation of the first man, Adam, and the first woman, Eve, in Paradise. When the couple was ready to dwell on earth, Adam was honoured by Allah to be mankind’s first prophet. A prophet is a person who was chosen by Allah to say the things that Allah wants to tell people or to convey His (Allah’s) Message to them. Thus, some of these prophets, including Prophet Muhammad, are also termed as Messengers. According to Islam, Allah sent a long chain of these specially-chosen men as bearers of “good news”, which comprises His reminders of previous messages and new messages as well as instructions and warnings, to specific people they were sent to, while always maintaining that God is One and has no partners, child or wife. These chosen men include prophets such as Prophet Noah, Prophet Abraham, Prophet Moses, Prophet Jesus (Jesus Christ) who is referred to as “Jesus, son of Mary” in the Qur’an) and Prophet Muhammad. 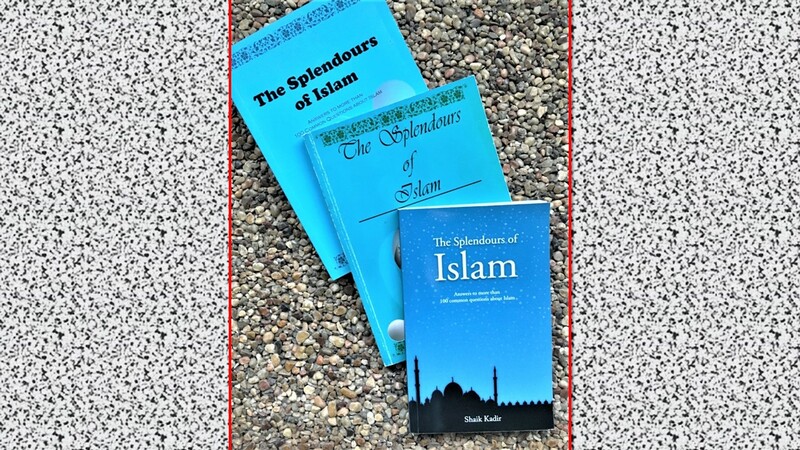 “Splendours of Islam”, was also published by The Muslim Converts’ Association of Singapore (Darul Arqam Singapore) in 2000 and reprinted annually and updated by the author in 2004, 2011 and 2016 . Darul Arqam gives away this 164-page book free to converts, potential converts and Muslims or people of other faiths who want to know Islam and request for a copy. Summarily, each prophet came to fulfil the previous prophet’s teachings or add on a bit more to the previous prophets’ teachings as people of olden times would not be able to understand and practise a “completed Deen” as taught in Islam. (Deen can be expressed in several positive ways, such as the Straight Way, Islamic way of living, believers’ way of life and God-conscious lifestyle.) For people of the past generations, what their respective prophets taught – the belief in One God and practice of simple righteousness (morals and good deeds) would be sufficient. Some of these prophets were termed “Rasul” (Messengers) because they received Allah’s Messages and Laws to teach to their people, namely, Prophet Moses received the Torah (Taurat), Prophet David (Dawud) received the Psalms (Zabur), Prophet Jesus received the Gospel (Injil) and Prophet Muhammad received the Qur’an. Others, called apostles and warners, came to teach moral principles. Regarding the Buddha, though the Qur’an did not mention him by name in the Qur’an, there is a possibility that he too could be among the 124,000 chosen men as only 25 of them were mentioned by name in the Qur’an. This entry was posted in Discovering Islam, Uncategorized and tagged Beauty and rationality of Islam, Prophet Abraham, Prophet Jesus, Prophet Moses, Prophet Muhammad, Prophet Noah, prophets and thir missions, Prophets of God, Qur'an, spirit of Islam, Splendours, The Straight Way. Bookmark the permalink.